Only 2 stations away from Shinjuku! Friendly English speaking staff is warmly welcoming you to the hotel! 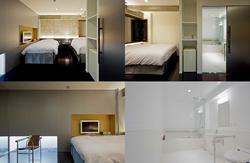 Sakura Hotel Hatagaya provides you a relaxing and heartwarming Tokyo experience. *All rooms were renewed with air conditioning, wall paper, and carpet in December 2012. Furthermore, key card system has been installed in June 2013. Free Wi-Fi access is also available in all rooms now. 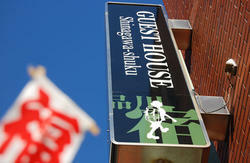 Please enjoy your stay at Sakura Hotel Hatagaya in the reformed rooms. We have Single rooms, Double rooms, Corner Double room, Deluxe Double room, Twin rooms (Max 4 people) and Triple rooms (Max 4 people). For those who do not have computers, desk top PCs available in the lobby for 100yen / 30 minutes. We serve breakfast (continental style) from 5 to 11 AM. The rate for breakfast is 350 yen per person. All rooms with a private bath and toilet. Front desk is manned 24 hours 7 days a week . Bilingual Staff, English, Korean, Japanese and Arabic. Please contact us if you check-in after 21:00 to hold your reservation. Otherwise your room may be canceled before your arrival. Please make your payment upon check-in . please call or e-mail us 2 days before your check-in date. 100 % room rate...on check-in day (after 0:00am JST), and NO SHOW. For Group: We have different cancelation policy. Please contact us in advance. At SAKURA HOTEL HATAGAYA, Muslims can eat and use the services in complete relaxation without any worry. Of course, we also have our services open to anyone who wishes to experience new culture. * Muslim staff is ready to assist you. * 24 hours open cafe with Muslim friendly food. * Private bathroom in every room. From Haneda Air-port: about an hour.